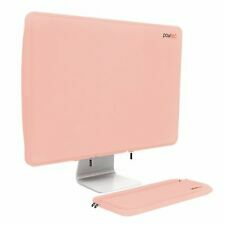 The sleeve fully covers the iMac and the interior uses state-of-the-art super-soft brushed terry material to prevent scratches. Lightweight and stylish, this sleeve is great for keeping your iMac safe when traveling for work or vacation, transporting your iMac to other places, or even to simply protect your iMac when not in use. 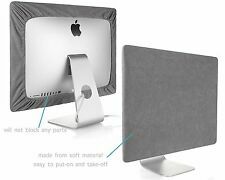 Very Easy to Cover and Uncover your iMac. High Quality Handcrafted iMac Display Cover. iMac Released in 2007 - 2017 years. Protects your iMac against dust, fingerprints, dirt, oils, scratches and daily wear and tear. Compatibility Dell Latitude 5175. Desktop Computers. Car Audio & Video. Portable Audio. Audio Components. Video Components. Training / Self Study. If there does happen to be an issue, we will work with you to make it right! This could also fit a CG019 or CG210 screen. and no longer needed. N EW IN BOX. U K KEY BOARD. Screen Privacy Filter 15in SVL15. Micro louvre technology creates the appearance of a black screen. Reduces glare and protects the delicate surface of the screen. New Fujitsu Screen Protector for Stylistic ST6012 T730 T731. Part #'s CP407065-01 and FPCSP24AP. 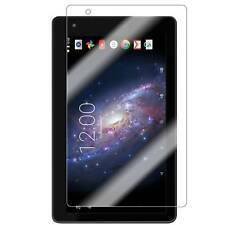 Screen Protector for HP ENVY 13 ab series ab055nr ab056nr ab057nr 13.3"
Hurry and order. These will not last long. ABILITY ONE 7045-01-613-7630 PRIVACY FILTER FRAMED 19" MONITOR LCD 31UE76 NIB! Monitor Type 19" Monitor LCD. Item Privacy Filter. Viewing Angle 60 Degrees. Warranty Information TECHNICAL SPECS. It has tough polycarbonate with a TPU over-mold that stands up to classroom use. 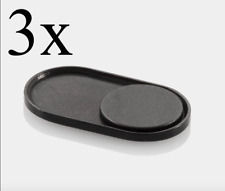 Your device easily slides in and out of both pieces, and has tough edge and corner protection. Model number THZ710GL. Delete this and add your own html code. Helpful Links. Scratches and scuffs may not only be the concern when it comes to protecting the screen of your laptop. Sudden shocks and drops pose the biggest challenge especially when inflicted directly to the screen. Celicious Impact for HP ENVY x360 13 AG0003NA protects against such shocks by absorbing, dispersing and dissipating sudden forces. Unlike tempered glass, this high-tech polymer-based multi-layered screen protector is shatterproof; hence it can never fail by cracking once exposed to impact. It features a hydrophobic glossy surface that offers a like-for-like feel to a glass screen and an advanced silicone based adhesive backing that eases application avoiding air pockets. Fully transparent and invisible when applied, Celicious Impact delivers perfect optical clarity and an anti-scratch surface. msi gs65 stealth thin 8RE. 144hz 15.6” FHD i7-8750H 16gb 256gb GTX1060 **With 2 Year Protection Plan. Condition is Used. Shipped with USPS First Class Package. It’s in very good condition looks almost new when I wiped everything down. Protect the Dell 5190 without breaking the bank. Product Line BumpTech. Training / Self Study. If there does happen to be an issue, we will work with you to make it right! Durability Shock Proof. Product Type Case. Pawtec’s Neoprene Monitor Sleeve is a compact, lightweight, and durable sleeve protectant for your computer monitor that safeguards your monitor from dust, dirt, fingerprints, oil and scratches from daily use. Fits ToughBook models: -CF-18 -CF-19 -CF-H1 -CF-H2. "THIS IS A TOUGHBOOK ". One Screen Protector included. Application is quick and easy and bubble free. Panasonic Toughbooks can be dropped, rained on and take more abuse than any other computer out there! Lot Of 6 Reinforced Scratch Resistant Glass Full Screen Protector New iPad 9.7"
16 viewing screen and a 16:9 aspect ratio. Protects screen against scratches. 16 high (477 mm x 268 mm). 4 wide x 10 9/. Images shown are for demonstration purposes. Lenovo Thinkpad L480 20LS 14" FHD i5-7200U 8GB 256GB W10PRO Condition is New. Lenovo 15" Privacy Filter for X1 Yoga from 3M 4XJ0L59637 (12.75" X 8"). IMac Released in 2007 - 2017 years. Release 2017 (Space Gray). Very Easy to Cover and Uncover your iMac. High Quality Handcrafted iMac Display Cover. Protects your iMac against dust, fingerprints, dirt, oils, scratches and daily wear and tear. Pink finish. 100% fit laptop body, protecting the host from external shell erosion. Curved surface cover. Keep device scratch-proof and are simple to apply. Product Warranty. Made in China. L x 8.65 in.